Congratulations to Mollie, Shanley & Katie! I've always been a big fan of sending and receiving handwritten notes. Because we live in a world full of screens, online content and abbreviated text messages, it's so nice to sit down, pen in hand, to write to someone you love. Don't you agree? This blog (speaking of screens and the online realm) officially turned two years old yesterday and I wanted to offer a fun giveaway that would help us all step back from the screen and connect with our favorite people -- even those who may live far away. So.... three lucky winners will win a set of three stationery cards from my print shop! Click through to the Stationery Cards section of my shop and pick your favorite card design. Leave a comment on this blog post with the name of your favorite set of cards (please be sure to fill out the email section of the comment form so I can contact you if you win). The giveaway will wrap up on Wednesday, September 18 at Midnight (PST). The three winners will be chosen at random using random.org and notified via email. The cards are made to order, so a slightly longer than usual shipping timeline may apply. Note: This giveaway is only open to U.S. residents. Sorry in advance to my international friends! The folded stationery cards are printed on bright white, smooth card stock. 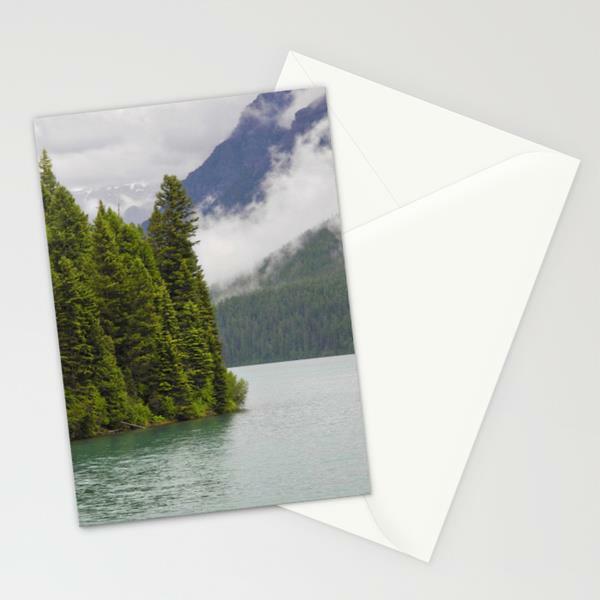 Each card is blank on the inside and includes a soft white, European fold envelope for mailing. The set includes three identical cards. Good luck and thank you all for being such loyal readers! It means the world to have you stopping in to leave comments and share your experiences.